Discover all the dance short unitards selection offered by Mademoiselle Danse among the most famous brands of the dance. The “Short unitards for show” selection gathered all the original dance shorts unitards, and the basic one. Many pretty pieces colored, are available in this category. You will find your happiness to dress your little dancer for your show. Camisole short unitard.Rounded neckline.Crossback strap detail.Lined bust.88% nylon, 12% spandex. 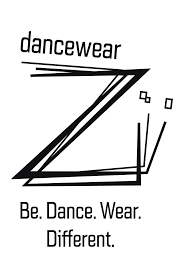 Dance unitard with thin straps.scoop-neck on the front and right in the back.Cotton spandex. Mademoiselle Danse likes: the simplicity of the model and its large variation of colors! Dance playsuit thin straps.Round necklline front and back. Viscose (it is from vegetable fibers and gives an optimal comfort.) Very solid and resistant, the colour doesn't fade overt time. The viscose has a better absorption capacity than the cotton. Mademoiselle Danse likes: the softness and the fabric comfort. Dance jumpsuit with thin straps.Back worked with a nice crossing of braces.Lycra mate. Mademoiselle Danse likes: the work in the back and the large variation of color! Dance jumpsuit with thin straps.Lace front yoke.Lycra mat. Mademoiselle Danse likes: the lace detail! Playsuit large straps.V neckline on the front and low on the back.Details in wisps patterns .Entirely lined on the front.Microfiber. Mademoiselle Danse aime : the wisps patterns and the colours declination! Thin straps camisole short unitard.Gathered neckline front and rounded back.Perfect for modern jazz and contemporary dance.Lycra. Mademoiselle Danse likes : the beautiful neckline.